USS Iowa Battleship | i2a Solutions Inc.
You will never look at the Navy the same way. 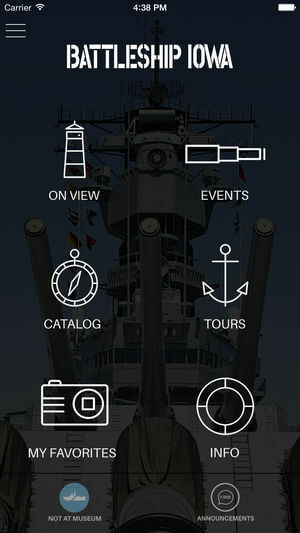 The USS Iowa App will change how you experience this battleship museum. Hear the fascinating stories behind the ship and its crew through video, custom audio tours and cutting-edge augmented reality. Content Overviews: It is impossible to learn the many stages of service this ship has gone through on a sign label. 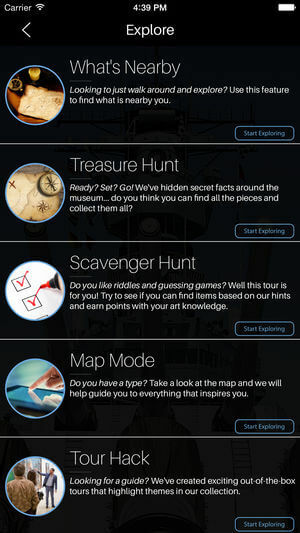 Deep dive to your heart’s content about any part of the ship that intrigues you with the App. Find out about the ship’s service, life of the crew, fun facts, and even watch videos. Experience and enjoy content that isn’t available anywhere else in the museum. Keep enjoying the USS Iowa from the comfort of your home: While visiting the museum, use the “favorite” function to save the items you want to explore further later. With hours and hours of content, you will always have something new and exciting to learn.